Eleonora has more than 17 years’ experience within the Health Economics & Outcomes Research and Market Access arena in international pharmaceutical companies (Argentina and other LATAM countries – Peru, Colombia, Chile and Venezuela). Since 2015, Eleonora has been working as a consultant to the pharmaceutical industry, and as a lecturer and trainer in Health Economics & Market Access in several academic and private institutions. 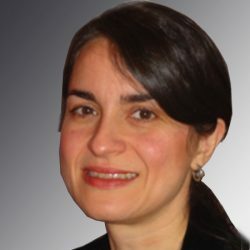 Eleonora has experience in Public Health, Real-world Evidence, Pricing & Reimbursement, Health Technology Assessment, Payers Engagement (both public and private), Market Access & HEOR writing, and training. Eleonora is a Past President of ISPOR Argentina Chapter (2009-2011). She has published several studies as an author and co-author in the Health Economics field. She is a Pharmacist (University of Buenos Aires, Argentina – Gold Medal awarded), and holds a Master in Business Administration (University of CEMA, Argentina) and a Master in Health Economics & Pharmacoeconomics (University of Pompeu Fabra, Barcelona, Spain).